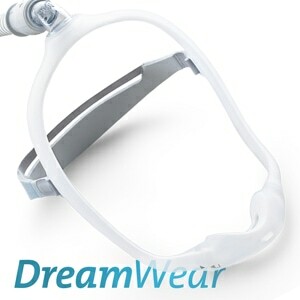 DirectHomeMedical's ComfortGel (Original) CPAP Mask Packs incude Respironics' updated, stronger mask frame and headgear clips. The ComfortGel is easy to fit so you get the right fit the first time; and if you want to adjust your fit or re-customize the Gel after your first fitting don't worry, it's quick and easy to do at home or even on the road. The dual-layer blue gel system creates exceptional cushioning too so don't worry it's very comfortable! Whether you're hard to fit or always get it right the first time, the new ComfortGel makes CPAP and BiPAP therapy easier and more successful. 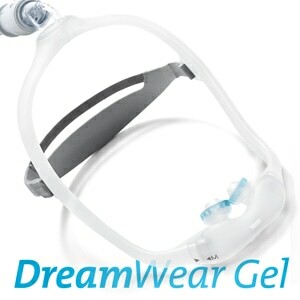 The ComfortGel comes with Respironics’ one-size-fits-most Premium Headgear. 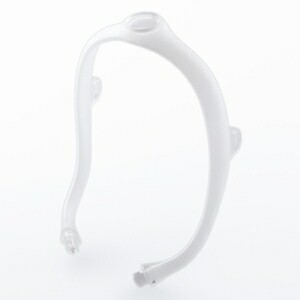 This unique headgear with EZ Peel™ tabs easily adjusts in four places for a secure, custom fit. The Premium Headgear evenly distributes tension, adds stability and helps to prevent mask leaks. ComfortGel and Headgear disassemble easily for cleaning and replacement. 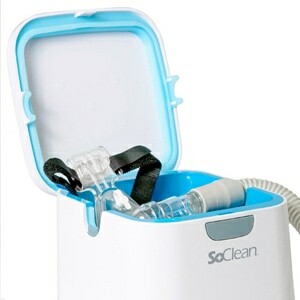 In the Package ComfortGel (Original) Nasal CPAP & BiPAP Mask with Adjustable Headgear.